In each of 4 glasses, layer ice cream and raspberries twice. 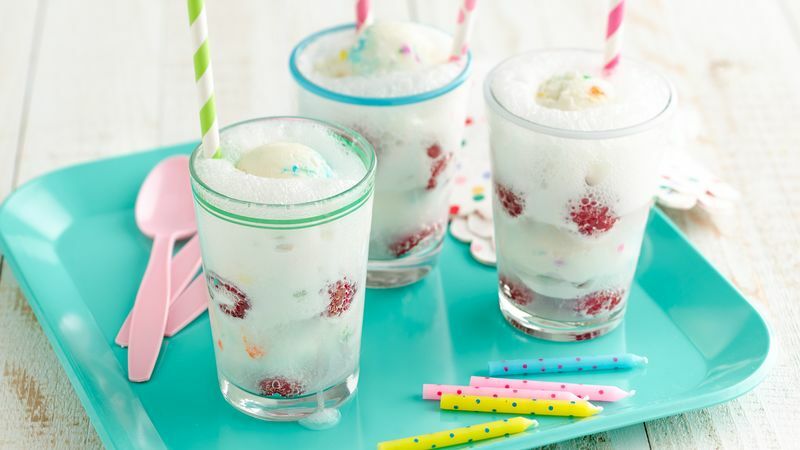 Pour beverage over ice cream and raspberries in glasses. Serve immediately. To make in advance, scoop the ice cream and raspberries into glasses, and place in freezer until ready to serve. Pour beverage over ice cream and raspberries in glasses just before serving.